Old Colony Heating, Air Conditioning & Plumbing is proud to serve the Marshfield community! 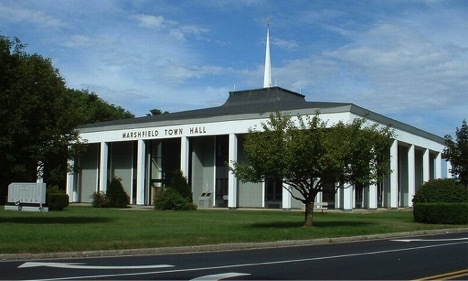 Located in Plymouth County, Marshfield is a large town with approximately 25,200 residents. The community is situated on the South Shore of Massachusetts, and the community is named after the numerous salt marshes that border the town’s salt and brackish borders. There are also three rivers located in the community: the North, South, and the Green Harbor River. Marshfield is a popular summer destination for its beach location, and from Memorial Day to Labor Day weekend, the town population almost doubles. As a popular tourist location, there are several notable attractions located in Marshfield. This town has five miles of public seashore, with beaches including Ocean Bluff, Blue Fish Cove, Green Harbor, and Sunrise. Visitors who are interested in spending a day out on the water might like to book a tour on Big Fish Carters. There are also several historical destinations located in the community, including the Daniel Webster Estate and Heritage Center or the 1699 Historic Winslow House and Cultural Center. The climate of Marshfield features varied weather conditions depending on the season. During the winter months, temperatures are cold, and average daily highs in January only reach the mid-30s. However, overnight lows may fall to the teens or even single digits depending on the day, making freezing conditions entirely possible throughout the season. An energy efficient furnace system will keep indoor temperatures comfortable while also helping to ensure that home heating costs are affordable throughout the season. During the summer, weather conditions can become hot or humid, as the Atlantic Ocean influences the climate of the region. While daytime highs might only reach about 80 degrees on average during July, the high humidity can make it feel even hotter. Fortunately, most residents will invest in central air conditioning units in order to stay cool during these months.